In Europe there are thousands of castles. They often reflect their period of history, being build for defensive or political purposes. There was a time when control of a country relied on control of key castles and fortifications. But the United States as a nation largely missed that period of history. Forts have been important in the early stages of her existence, but not proper castles. Despite this, there are some castles in America. Most are not genuine castles, but have the appearance of such, and so they are commonly known as castles. Most were built by wealthy business people and industrialists of America’s gilded age who wanted a home that reflected their status. The beauty of these buildings is matched by the interesting nature of their history. Here are ten amazing castles in America. This castle was built when a man wanted to expand his wine business. He needed room to store and produce his wine. So he drew up plans for a fairly standard building, and I guess he’s the type of man to get carried away because the project ballooned into a Castle construction. Today the castle stands 121 thousand square feet, with 107 rooms. It was built in the style of a 13th century European castle; to suit this it features a moat and drawbridge, leading to a courtyard. The castle also features a torture chamber with a several century old Iron Maiden, and other torture devices. That’s probably among the few features of a castle I wouldn’t want to include. The castle also has a great hall, with it’s walls covered in medieval art. I feel like it’s been built the way a castle should be. 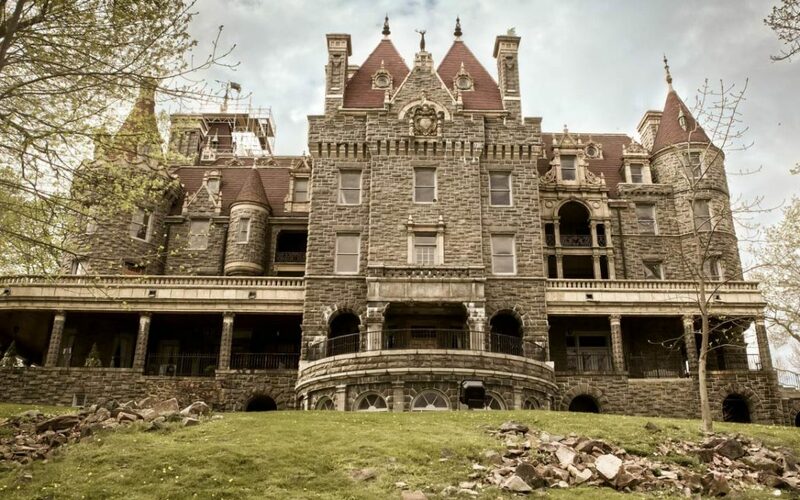 In New York’s Thousand Island region is Boldt Castle. It was built on an island by the millionaire Hotel manager George Boldt. From 1900 to 1904 his dream home was built. The 6 floor stone castle dominates the tiny island, as do the 2 others buildings built on the island. One is the most grand powerhouse I’m aware of, and the other is a tall tower. 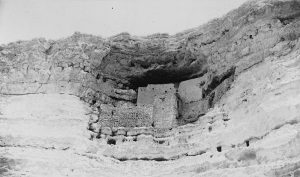 Boldt never actually finished constructing the castle to the extent he wanted. After his wife died in 1904 he left the island and never returned. Still, the buildings remains as his tribute to her. It’s now publicly owned and open for visiting between May and October. Known by both names, this castle was hand built by a passionate medievalist. That explains why it’s a real castle, unlike most of what are called castles in America. The castle was built in the 1920s, on land obtained as part of a local newspaper’s promotion. People who bought a year’s subscription to the newspaper were given a small plot of land. So they just bought a bunch of subscriptions and decided to build a stone structure. Harry Andrews was the Medievalist and with the help of local boy scouts he couldn’t resist building a genuine castle on their new land. He began building the castle by hand in 1929 and it took 50 years of hard work before it’s completion. What now stands on that land is a grand Medieval-style castle, the type only a true Medievalist could give the world. It’s said that Elvis Presley once offered to buy the castle but was turned down. Instead, he gave it to the boy scout group who helped him build it. The name Chateau Laroche literally means “Rock Castle”. Edward Searles didn’t grow up rich, but one day he married a wealthy widow. Her first husband was a prominent investor, one of four who invested in Central Pacific Railroad – and so she now owned 25% of a massive asset. 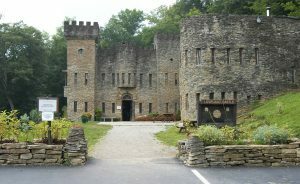 Together they built Searles Castle, with it’s grand entrance and towers. The granite stone castle is an impressive sight. After the death of his wealthy wife just 4 years after their marriage Searles was left sole owner of a castle and vast fortune. He lived for another 29 years, a pretty good deal for someone from his background. Searles Castle was built between 1905 and 1915. After Searles’ death it was passed through the ownership of several others. It now belongs to a Catholic women’s institution. This is a palace but I’m including it anyway. A palace is basically a castle and I’ll fight anyone who says otherwise, no matter how small or frail they are. Hawaii was an independent Kingdom with their own royal family. Lolani palace was the home of said royal family. 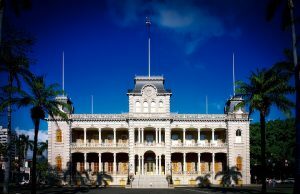 It was built in 1879 as the grandest buiding in Hawaii. But it was mostly used for diplomatic meetings since royal family members lived in smaller houses. Although, it was still their official residence. But then the monarchy was overthrown by the American invasion in 1893. The royal family was soon kicked out of the palace. There are many castles in America but this remains the only royal palace. 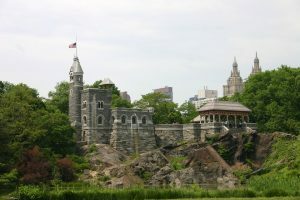 Belvedere Castle is in New York’s central park. Now that’s a strange place for a castle but okay. It was originally built as a fake castle, a hollow shell with an open doorway for members of the public to wander in and out of. In 1912, due to it’s location, the castle was taken over by America’s weather Bureau and soon used as an observatory. It was built on a large rock overlooking a reservoir. It looks absolutely out of place in the centre of New York, with it’s tall tower flying an American flag. Today it’s little more than a tourist attraction, since the observatory moved to a skyscraper in the 1960s. Not all castles in America were built by billionaire industrialists. Montezuma Castle is a native American cliff dwelling deep in the desert. It was built largely around the 12th century but total construction took hundreds of years. Our knowledge of Montezuma Castle is fundamentally limited. It was not used for defensive purposes but was clearly a vital structure to the local society. Despite this is was eventually abandoned at an unclear time and for an unknown reason. Most of it’s history has been lost due to looting and a lack of written records. It was in the 19th century when European explorers rediscovered it. The design of the castle has a clear function. Carved into a cliff high above the ground, those who lived there would be more safe from both natural predators and rival native cultures. 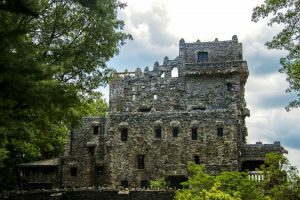 Gillette Castle has a weird history, as do all castles in America. It was designed by the actor William Gillette, who played Sherlock Holmes. It’s famously known as Sherlock Holmes’ castle. Fitting this, a number of mysterious features were built into the castle, such as hidden passages and unusual doorknobs. It was built between 1914 and 1919 and has a strikingly medieval appearance. Three hundred thousand people now visit it every year. It times gone by the castle grounds had a railroad, with which you could travel the estate. But the engines have since been sold. 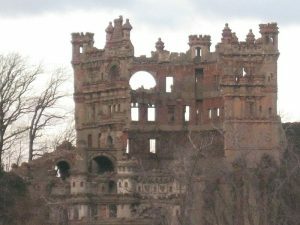 Bannerman’s Castle is a proud crumbling structure, standing on an island said to be haunted. It was built in 1901 by a Scottish industrialist to serve as his home. But after buying a load of military supplies on the cheap he used the castle as the world’s most impressive warehouse. After he died in 1918 the island was completely abandoned. It still is. It remains on the island in the middle of New York’s Hudson River. I would advice against trying to visit the island as a tower or large stone block might fall onto you. No one wants that. Also the island is allegedly haunted by the ghost of a native American girl. So have fun with that. This massive castle was built for William Randolph Hearst. He was among America’s most wealthy men, thanks to his success as a newspaper mogul. It’s actually thought that Citizen Kane was in part based on William Randolph Hearst. It took 28 years to build at the cost of 5 million dollars. It’s estimated the project would cost at least 150 million dollars in today’s money. It was in this castle that Hearst kept the world’s largest collection of silver. It’s an astoundingly large castle, decorated with grand 16th century Italian paintings and carvings. It’s said that Charlie Chaplin once joked Hearst by dressing the stone statues on the grounds with fur coats and hats. Apparently Hearst was very angry about that. Strange buildings deserve strange stories. In total, the castle and other buildings on the grounds are 90 thousand square feet. The castle was built in Spanish rival style.